Shop favourites and all-round jangle-mongerers Whyte Horses finally release their (proper) follow-up to 2016's end of year LP, 'Pop Or Not'. We kick things off with the classic jangling stomp of 'Counting down The Years', breaking straight out of the starting gates with walking bass and stabbing guitars below the swirling psychedelic vocals and soaring dreamlike haze. It seems as though the orchestral implimentation we saw in 'Pop Or Not' (and its excellent reinterpretation with St. Bart's Choir) has returned with aplomb, underpinning the whole structure of pieces like 'Never Took The Time', or the tender and stunning balladry of 'Watching T.V'. Elsewhere, we get funked-up walking bass and swooning soulful vocals courtesy of La Roux on 'The Best of It', bringing forth the run of more heartfelt, ambient numbers including the rhodes-led instrumental bliss of 'The Return' and the tentative Losing My Religion-y plucks of 'Fear is Such A...'. Sandwiched comfortably inbetween these two beautiful evening chillout pieces is the spine-tinglingly optimistic encore anthem 'Nighmares Aren't Real', slowly building into a majestic and euphoric orchestral release. 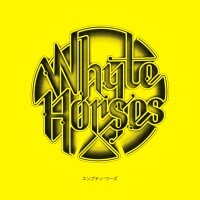 The Whyte Horses have confidently crafted a superb return, perfectly nuanced, brilliantly written and every bit the follow up to one of our favourite albums of all time. Impeccable. Andy says: They've done it again! Another classic pop gem with massive, heart-rending tunes, and an enchanted,starry-eyed 60's vibe. Perfect. 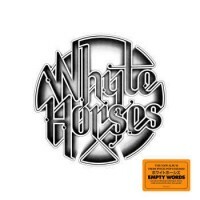 Barry says: An unsurprisingly excellent return for the great Whyte Horses. Lengthy progressive melodicism, hazy jangles and heartwarming vocals over huge orchestration and perfect songwriting. Amazing stuff.